Propolis has many known pharmacological properties. However, acaricides insecticides and herbicides are contaminants that can be found in propolis. This residues derive from contamination generated by agricultural practices and the application of pesticides in the hive. As far as we know, there are not works that study if the presence of these contaminants could modify the biological properties of the propolis. Thus, this was the main objective of this research. To do that, 44 samples of propolis from Chile (Biobio region n=10) and Spain (Galicia n=12 and Castilla y León n=22). were analysed. The pesticides were quantified using Gas Chromatography-Mass Spectrometry (GC-MS). Phenolic acid and derivatives were analysed by HPLC and antibacterial activity by Five-Plate tests. Total polyphenols were quantified by Folin-Ciocalteaus method and total flavones and flavonols using AlCl3 colorimetric reaction. Antixidant capacity were determined by ABTS, DPPH and inhibiting activity of the linoleic acid/-caroten radical methods. Results show that 70% of samples contained triadimefon (0.4 a 42.2 mg/Kg) and 7.5% showed residues of dicofol, dichlofluanid, folpet, propham and metazachlor. The phenolic contents and antioxidant and biocide activities of samples with pesticide residues were compared with those free of contaminants. Results show that samples with pesticide residues have lower antioxidant capacity estimated by any of the assayed methods. The biocide properties similar to antibiotics was also lower in samples contaminated with pesticides. A significant decrease of phenolic acids such as cafeic, isoferulic and DMC acids were observed together with a slight decrease of total polyphenols and flavonoids. ISNAD GONZÁLEZ-MARTÍN, María Inmaculada , BETANCES-SALCEDO, Eddy Valentín , REVILLA, Isabel , VIVAR-QUINTANA, Ana María . "Changes in Antioxidant and Antibacterial Activity and in Phenolic Compounds Levels Due to the Pesticide Residues". 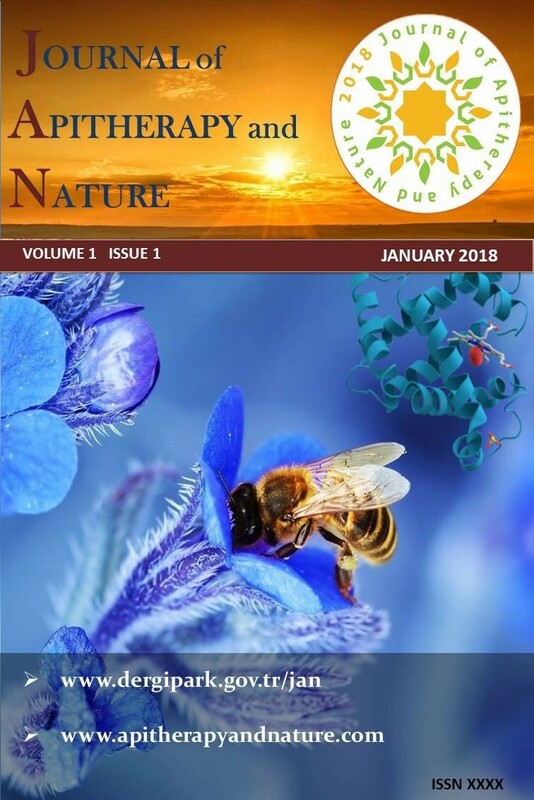 Journal of Apitherapy and Nature 1 / 3 (December 2018): 47-47.